The newest obsession for this autumn is metallic -- metallic nails, metallic skirts and, you guessed it, metallic shoes. I've already jumped onto the metallic nail polish band wagon (and loving every minute of it), so it was only a matter of time I'd turned my attention towards other items. I've worn these shoes almost everyday since I got them a week ago, and am here to share my tips on how to style these beautifully cosmic, yet timeless, ankle booties. 1. Let them shine. Your fantastically cosmic shoes should be the star of the show, so don't let any other part of your outfit compete with them. 2. Go grunge or go home. 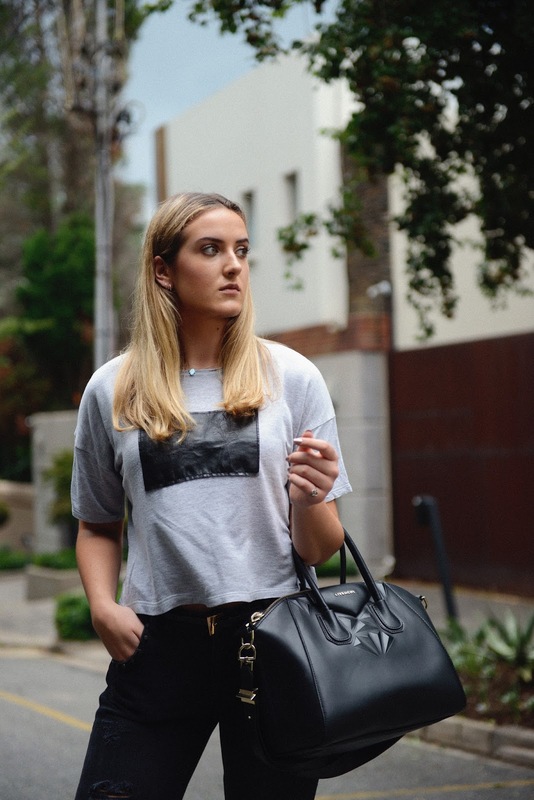 Pairing metallic shoes with grungy 90s jeans, like these black Zara jeans. They're slightly high waisted, a bit torn, faded, flared and genuinely look like they survived the 90s. 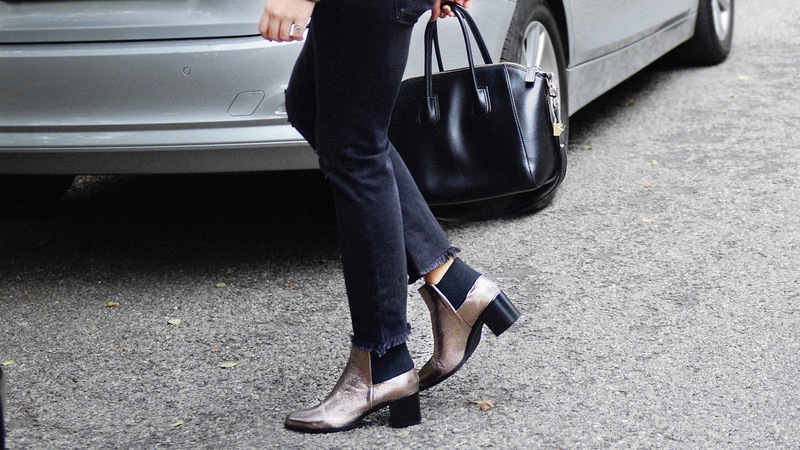 Jeans like this and metallic boots basically scream nonchalant chic. metallic boot will ooze sophistication with a twist. 4. Be confident. 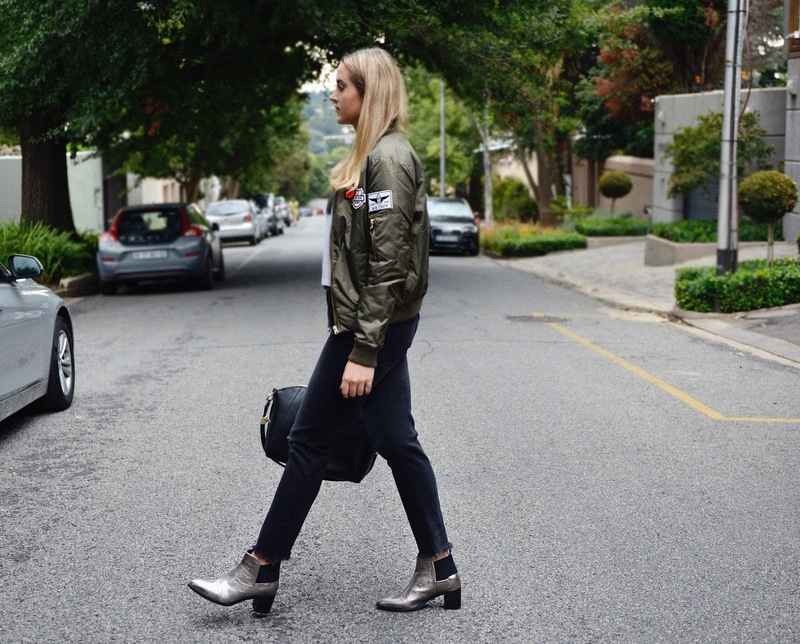 Metallic boots are something that will not be expected, but worn with the right confidence, they are the perfect addition to any autumn outfit.